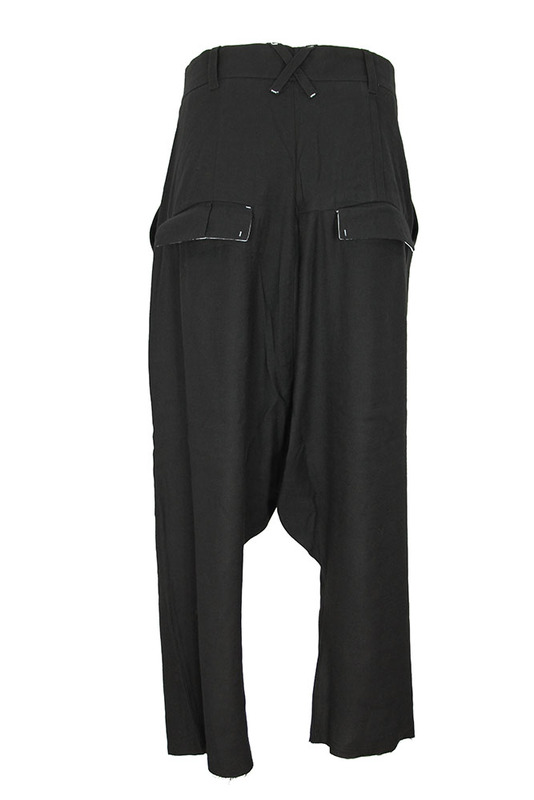 Pal Offner black trousers, 'The Wide Trousers'. Belt loops. 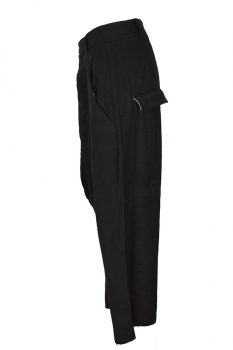 Very long button fly and button waist with white stitch buttonhole. 2 side pockets with white stitch detail. At the rear, crisscross belt loops with white stitch detail. 2 rear pockets with flaps with white stitch detail and white printed lining. Wide leg and low crotch. Raw edged hem with double stitch detail.